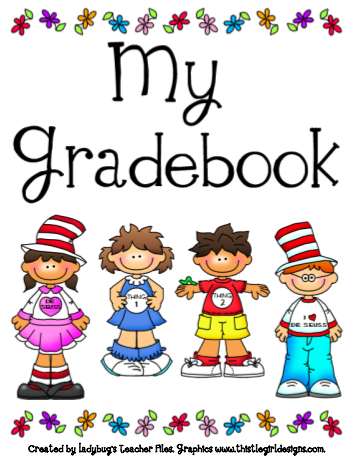 It’s the beginning of a new trimester and I am updating the way I keep my grades. First of all, a new cover is always in order, isn’t it?! I also want to move on from those teeny-tiny boxes inside the typical gradebooks. When it comes time for report cards, my eyes are way too strained! And, most importantly, I would like some record sheets that can be shared easily with my students, without them seeing others’ grades. After playing around with a few different templates, I came up with this…I made the boxes large enough for me to write in and for my students to see. This page to the right will be one of 6 for a particular student (they’ll be printed back-to-back to save paper). I’m sorting them in a binder with dividers. 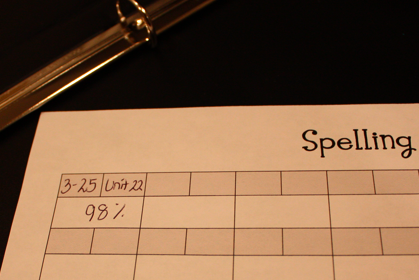 That way, I can flip to certain students to show them their progress so far. 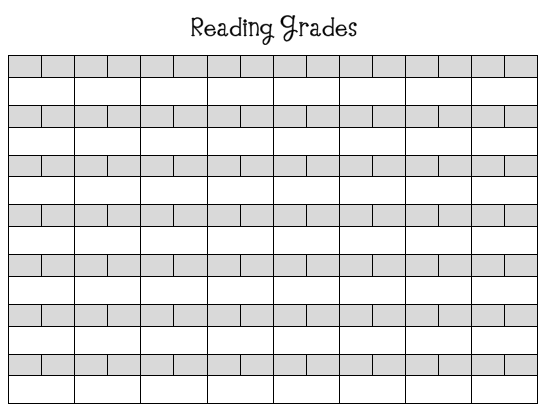 This will also make it easier for me to grade each student when it is time for progress reports and report cards. The top two gray boxes will be for the date and assignment or assessment. I can’t tell you how much I love those 1/2″ binders…they hold a ton of papers and take up very little space. How do you like to record your grades? Do you use a non-traditional method that works for you? Ah, beautiful idea! 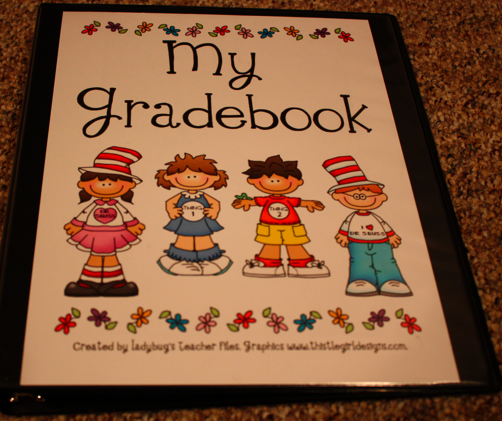 I just finished 3rd quarter report cards and wished I had recorded things by student, not just subject. THANK YOU!! I make a separate sheet for each student with the report card standards, the assessment results, and comments. I staple this to the front of their folder and use it when I meet with each parent. I clip all the assessments together and I can refer to them easily.